Deceased Roshni Kewat had gone to collect firewood from the forest when the prowling animal sneaked up on her and pounced on her, eyewitnesses told forest officials. She was dragged inside the dense forest area and mauled. Some of the villagers, who located the tiger with her body, climbed a tree and remained there it moved away. 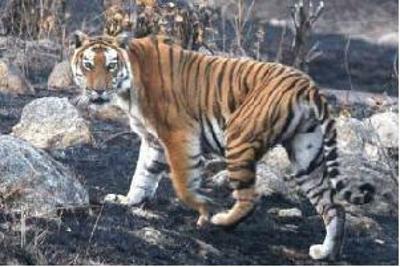 Later, forest officials reached the spot and registered a case for compensating her family.While villagers claimed that the girl was killed by "a radio collared tiger recently translocated from Panna National Park", forest officials said they were yet to ascertain its identity.